Favorite Quote: Dawn is an almost mystical hour. A time when the light is most likely to deceive the eye, a time between sleep and waking. A time when a man is likely to be at his weakest. Dawn is a time when soft veils are draped across reality, creating illusion and cheating truth. It is said, it is darkest just before dawn. First in the Maisie Dobbs mystery series. Maisie is 14 when her mother dies, and she must go into service to help her father make ends meet. Her prodigious intellect and the fact that she is sneaking into the manor library at night to read Hume, Kierkegaard, and Jung alert Lady Rowan to the fact that she has an unusual maid. She arranges for Maisie to be tutored, and the girl ultimately qualifies for Cambridge. She goes for a year, only to be drawn by the need for nurses during the Great War. After serving a grueling few years in France and falling in love with a young doctor, Maisie puts up a shingle in 1929 as a private investigator. She is a perceptive observer of human nature, works well with all classes, and understands the motivations and demons prevalent in postwar England. Teens will be drawn in by her first big case, seemingly a simple one of infidelity, but leading to a complex examination of an almost cultlike situation. The impact of the war on the country is vividly conveyed. A strong protagonist and a lively sense of time and place carry readers along, and the details lead to further thought and understanding about the futility and horror of war, as well as a desire to hear more of Maisie. This is the beginning of a series, and a propitious one at that. I actually don't know what to make of this book. I found it enjoyable, but I don't think I enjoyed it nearly as much as many other readers did. Maisie is a likable character- she's very intelligent, sensitive and thoughtful. But for some reason, I found the characters... weird. I don't know how else to explain it. For instance, I found it really strange the way Maisie would watch the way people stood, copy that stance, and then suddenly have this perfect ability to know exactly what those people were feeling. And she would quote the most Zen-like, Yoda type of phrases from her teacher, Maurice Benard. Like, "Truths walk toward us on the paths of our questions." And things about truth needing a window to be set free. One could practically see "Confucius Says" in front of all of them. Another thing that was strange to me was the insertion of a flashback to the war years right in the middle of the book. It lasts for a sizable chunk, and then we're taken back to 1929. I can understand why it's there- it makes sense for us to get an understanding of Maisie's character and her own personal demons. But it seemed to me that it wasn't really incorporated well into the story as a whole. My thoughts are that this won't be done going forward in the series, as Winspear has already given us this introduction to Maisie. Which I would prefer. As for the other characters in the novel, we are given glimpses of them- very intriguing glimpses- and I feel certain that they will all be developed more fully later. Actually, the chances of them all being thoroughly analyzed, psychologically, seems high. They all seemed as though they would be fascinating character studies, though, so well done to Winspear for doing so much for her secondary characters. The author's ability to describe the way Maisie had to deal with the class system that was still prevalent (but about ready to be broken) in England just before World War I is also excellent. It reminded me of the (admittedly few) episodes I'd seen of Upstairs, Downstairs, in which both the "upstairs" people and the "downstairs" people had to make concerted efforts not to step on anyone's toes or show favoritism, for fears of rocking the boat. It really was fascinating. I should watch more Upstairs, Downstairs. 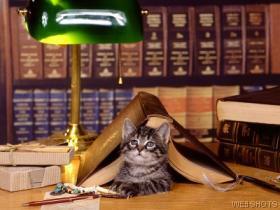 For example, there was one scene in which Maisie is sitting through a session with her tutor, Maurice. Maurice happens to be a very close friend of Maisie's employer, Lady Rowan. Lady Rowan, after some time, has tea and refreshments sent up to Maurice, but she is careful not to have any offered to Maisie, as it would be demeaning for the butler to serve tea to a maid. I should probably talk about the mystery portion of the book, huh? I admit that when I read mysteries, the actual plot of the mystery isn't really that important to me. Especially with those mystery series that feature the same characters, I really like to see a good back story (which Maisie certainly has), interesting side characters (also present) and an over-reaching plot that can be resolved through several of the novels, in addition to that mystery present in the particular selection I'm reading (again, check). In that way, Maisie Dobbs does very well. The mystery is really one mystery leading to another, darker mystery. And the one that at the start is not nearly so interesting as the one that comes later. (In fact, we don't really get much resolution on the first one.) However, both mysteries, in my opinion, take a backseat to Maisie's own personal struggles and that of all the people who are living in the devastation of post-World War I England. It was really interesting to read and I'm sure that I will continue with this series, over which I hope to become used to the Yoda-like themes noted above. 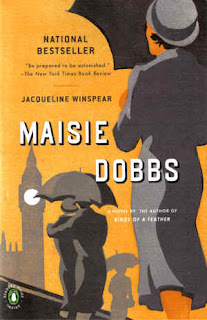 I made my husband read Maisie Dobbs recently and his thoughts pretty much echo yours. I haven't read it myself yet, but I plan to one of these days. I recently read this one and quite enjoyed it, especially given that it seems to mainly function as a stage to delve more into Maisie's past and her character. By the way, have you ever seen Gosford Park?